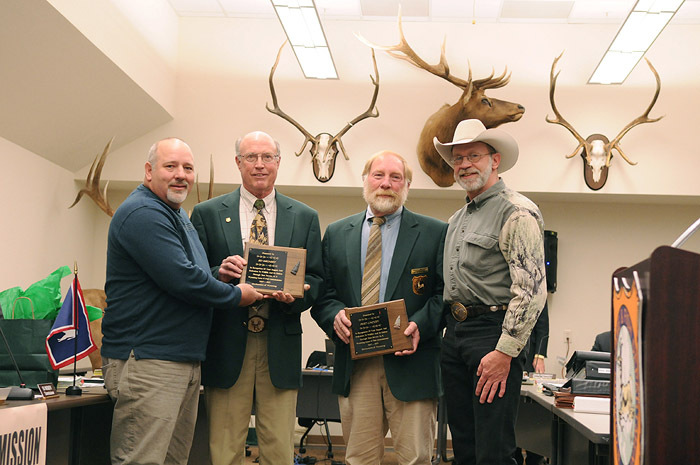 BOW News | Bowhunters of Wyoming, Inc.
Bowhunters of Wyoming thanks Wyoming Game & Fish Commissioners Mark Anselmi and Keith Culver for their many dedicated years of service to Wyoming’s wildlife. Thank you to everyone who participated in the signing ceremony for the archery month proclamation, including Governor Mead, G&F Director Scott Talbott, BOW President Steve Martin, multiple BOW members, and members of the Cheyenne community. 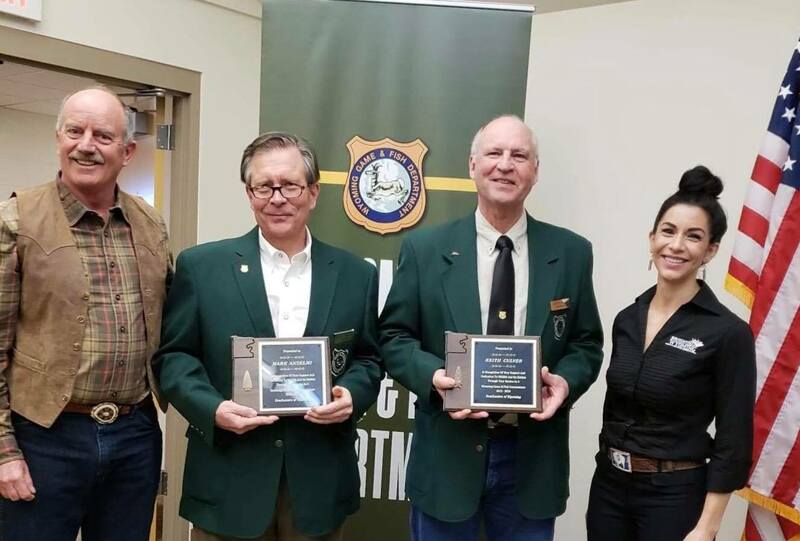 BOW representatives, Steve Martin, Dave Baer, Harvey Dalton and Jeff Sanderson enjoyed offering archery experiences at the Wyoming Outdoor Weekend and Expo. 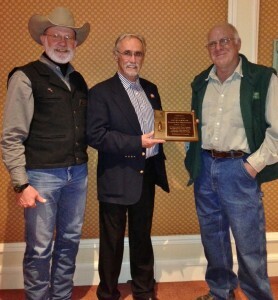 BOW President Steve Martin and Area Representative Dave Baer presented plaques of appreciation to outgoing Wyoming Game and Fish Commission Members Charles Price, T. Carrie Little (outgoing president), and Richard Klouda. 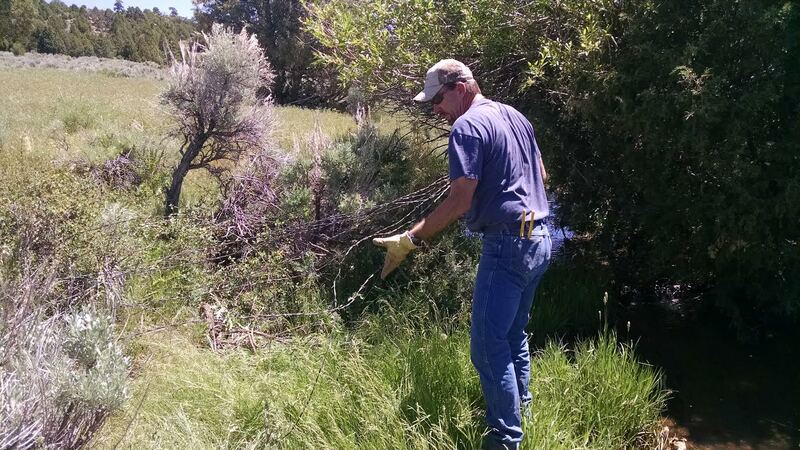 BOW members Eric & Michell Anderson volunteered on June 18th to help remove old fence from a big-game transition area and migration corridor as part of the 4th Annual Platte Valley Volunteer Day. BOW auctioned a commissioner’s license to Professional Hunter Services for $11,500! 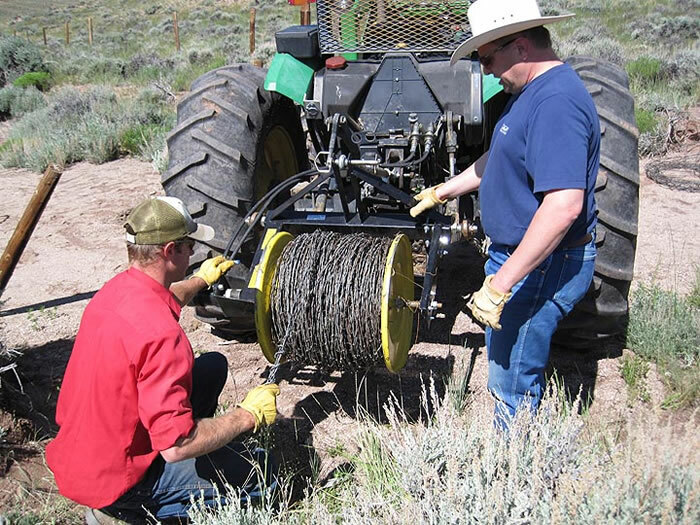 All funds we receive from commissioner license sales go to habitat, conservation, education, and enforcement projects in Wyoming. We thank Commissioner David Rael for this license. Congrats to the BOW membership drive winners! New members: Benjamin Gorman and Chuck Brewer. 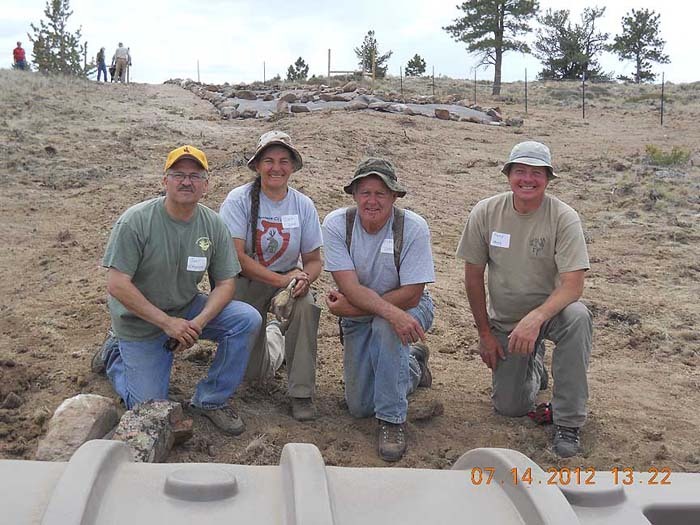 Current members: Ramie Roadifer and Deb Anderson. Prizes include BOW apparel and gift certificates from Sportsman’s Warehouse! We thank Sportsman’s Warehouse for the donations. Congrats to Bradley Lemieux for winning our Commissioner’s License Raffle! All funds we receive from commissioner license sales go to habitat, conservation, education, and enforcement projects in Wyoming. 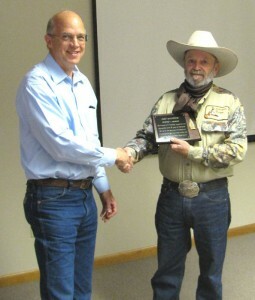 We thank Commissioner Keith Culver for this license. Congrats to Zachary Key for winning the distinguished BOW Washakie Award! 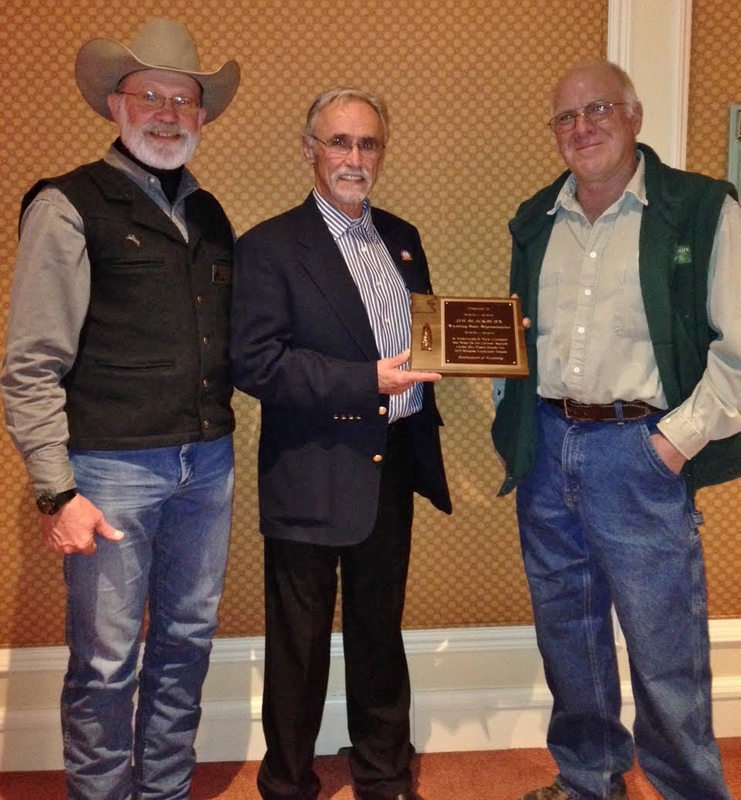 BOW President Steve Martin and BOW Area Rep Jim Mallon present Wyoming State Representative Blackburn with a plaque of appreciation for his work on the lifetime archery license. Congratulations to our membership drive winners! New member Dwayne Johnson from Cody won a 90% Jacket from Sitka, and our current BOW member Justin Stark from Gillette won a BOW hoodie! 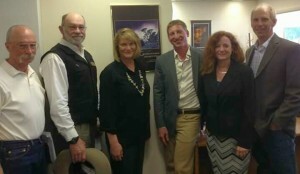 We thank Sitka for their generous donation. 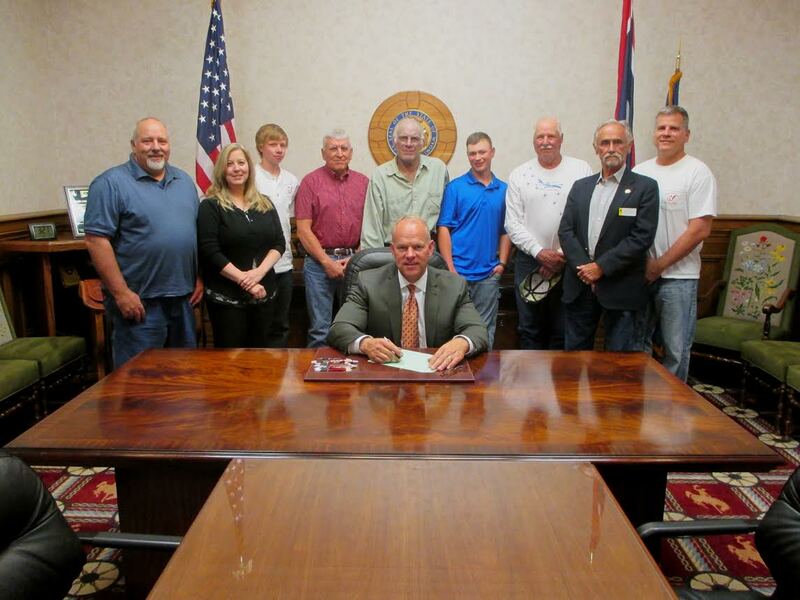 BOW members met with Governor Matt Mead and Representative Jim Blackburn to sign the Lifetime Archery Bill. The license will be available starting 2016. 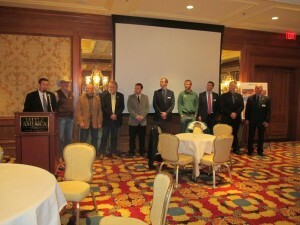 We had BOW representation at the Sportsmen’s Reception on February 5th in Cheyenne. 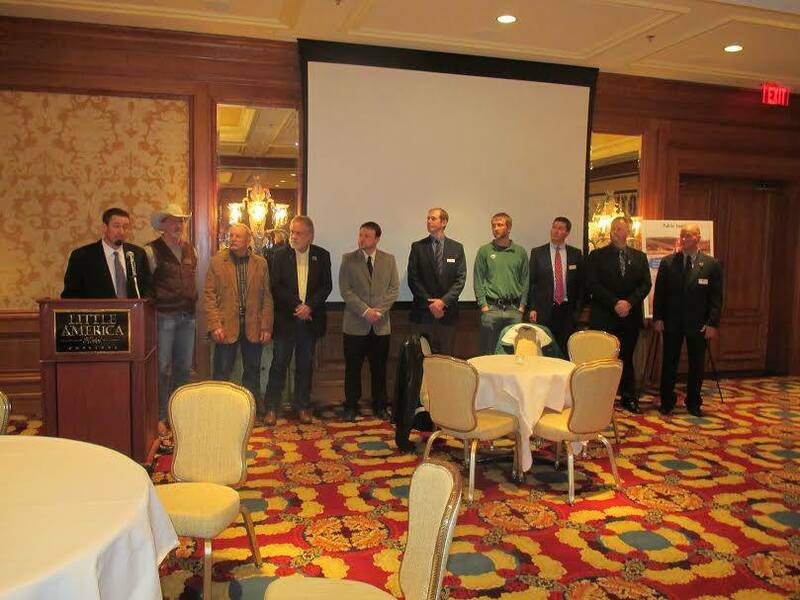 Many thanks to those who organized the event, and to the many legislators who attended along with Governor Mead. Photo: MFF President Joshua Coursey introducing the members of WYSA. Photo courtesy of Muley Fanatics Foundation. 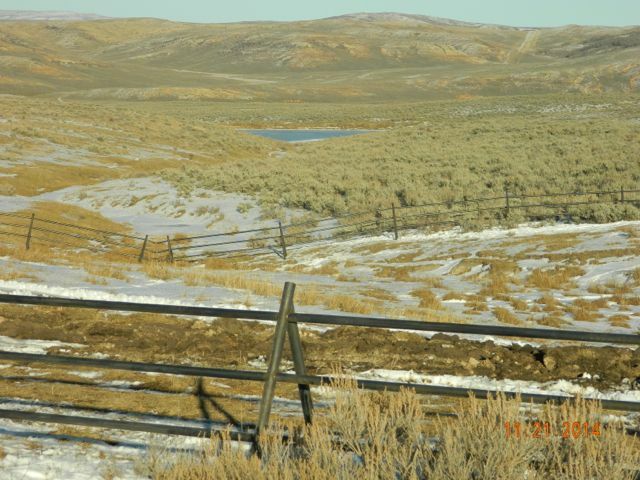 The Wyoming Wildlife Federation (WWF) reported on over 3 miles of barbed wire fence that was de-stapled, rolled, and hauled away from a crucial big game winter range and elk birthing range. 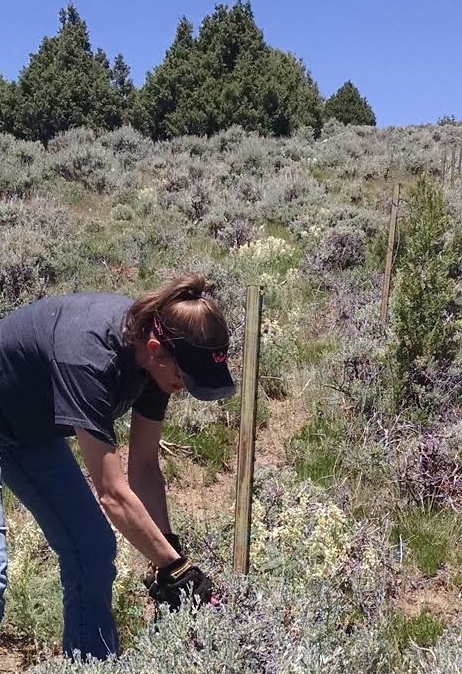 Thirty-three people volunteered, ranging in age from 12- to 81-years-old, to remove the unneeded fence from the Spence and Moriarity Wildlife Management Area northwest of Lander, Wyoming. 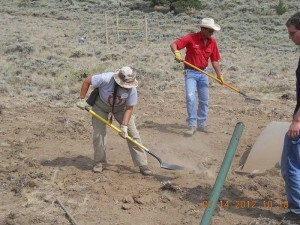 WWF thanked Bowhunters of Wyoming for the funding that made this project a success. 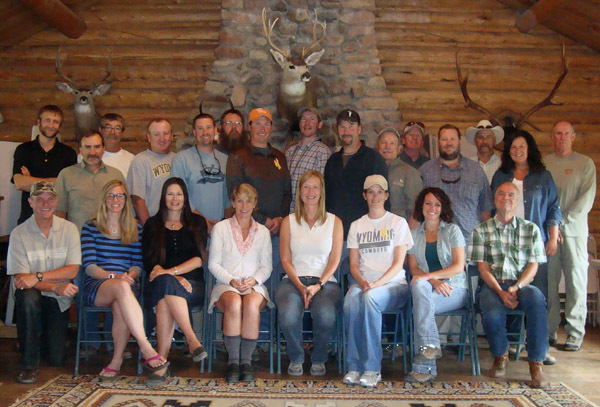 Bowhunters of Wyoming (BOW) executive council members recently had an interactive conference call with top leadership from the Wyoming Game and Fish Department (WGFD). It was well attended by the BOW and the department. 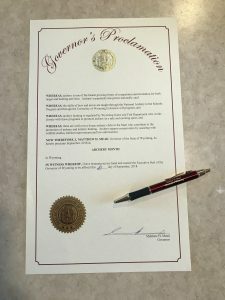 Many important issues were brought to the table, including reinstatement of the Hunting and Fishing Expo, conflicting rifle and bow seasons (including archery exclusion areas), season dates for wolf to allow September archery hunting opportunity, inclusion of all pronghorn areas into the August 15th archery season opener, and Type 9 archery opportunity in selective areas of the state. BOW would like to thank the Wyoming Sportsmen’s Alliance for hosting the July 10-11 Sportsmen’s Advocacy Conference at the Whiskey Mountain Conservation Camp. Executive council member, Michell Anderson, and her husband, Eric (also a BOW member), attended the conference, which as WYSA states was held “to help provide hunters and anglers with skills to navigate the political corridors of the Wyoming Legislature for the benefit of our fish and wildlife management and hunting and angling opportunities.” Michell indicated that she learned a great deal, expanded her perspectives, met some wonderful people, and is excited to forward the valuable information to the rest of the executive council for continued discussions. In addition, she feels her role within BOW as the newsletter/website/Facebook editor has been enhanced by the tools provided through the conference. Jim Mallon, an area representative with Bowhunters of Wyoming, recently represented BOW as part of the Wyoming Sportsman’s Alliance (WYSA) during a meeting with the governor and the Wyoming Game and Fish Department (WGFD). The goal was to discuss initiatives to assist with existing gaps in programs offered by the WGFD, due to budget cuts over the last few years. 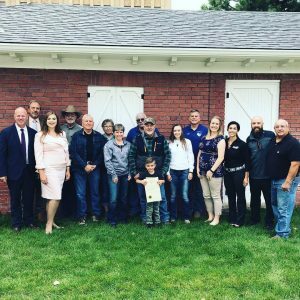 The topics of discussion included the formation of a blue ribbon task force comprised of a diverse group of individuals from industries such as agriculture, energy, hunting, and fishing, to name a few. The task force would most likely have an independent group overseeing their efforts and ensuring tasks ran smoothly. Funding for this type of outside agency might be difficult, but the WYSA is challenging its members to begin contributions toward start-up. These efforts are in continued discussion with all involved. “I just wanted to check in with you and your members to let you know how the FLIR unit (thermal imaging for ground law enforcement) you helped us purchase is being used. 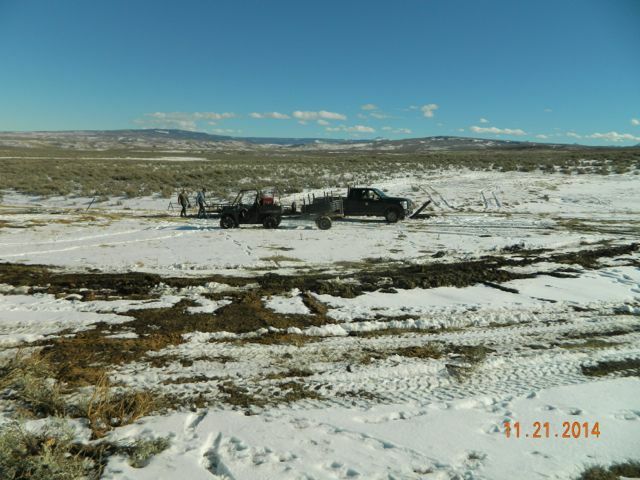 I personally have used the FLIR on two separate task forces in the Dayton area; one for a spotlighting task force (a big problem on the Montana/Wyoming line), and again on a closure task force keeping folks off the Kerns winter-range unit. The FLIR is being used again next week by another Game Warden on the same Kerns winter-range task force. BOW Responds to Forest Service Project Proposal. BOW member Dave Baer presents a plaque of recognition to John Emmerich, former Wyoming Game and Fish Department Deputy Director of External Operations. Emmerich retired recently after more than 34 years of service with the WGFD. Bowhunters of Wyoming greatly appreciates his years of dedication to the habitat of this great state. 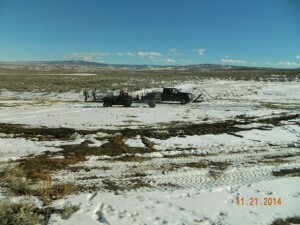 Wyoming Range Mule Deer Project, which BOW helped fund. Wire Roller funded by B.O.W. 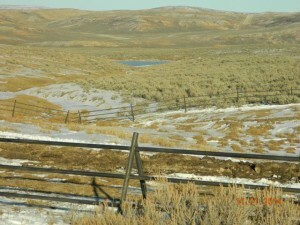 for the Wyoming Game and Fish. BOW provided funding and labor for the 2012 Bennett Mountain guzzler installation.